Underwater photography has clearly come a long way since the legendary Jacques Cousteau took his first camera-equipped dive in the early 1940s. More recently, the emergence of remotely operated underwater vehicles (ROVs) means ocean explorers who want to film their adventures don’t even have to get their feet wet, though admittedly that’d take all the fun out of it for many. 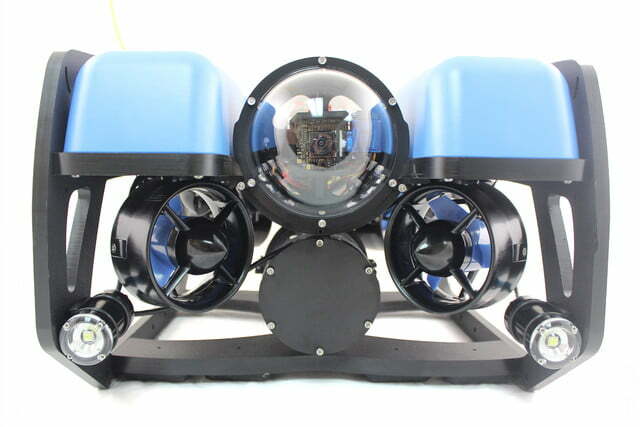 For land-based types who’d rather relax in a chair while exploring the deep blue, the options aren’t exactly cheap, with such submersibles often costing tens of thousands of dollars. Aimed at “universities, research organizations, small businesses, hobbyists, and first responders” – in other words, just about anyone – the BlueROV2 uses a motorized control system of a type usually only seen on much more expensive machines. 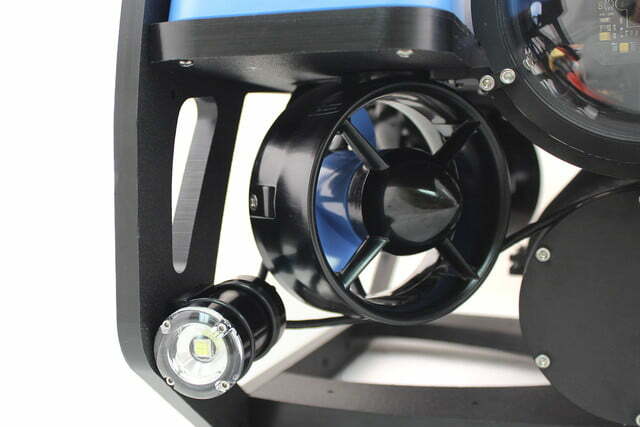 Smooth and stable but at the same time highly maneuverable, the BlueROV2 can be fitted with high-end cameras inside a dome enclosure and sent to depths of up to 100 meters. A tether connects the machine to a computer or tablet above the water, with the operator controlling it via the supplied QGroundControl app. And if the water’s a little murkier than expected, you simply fire up the BlueROV2’s powerful LED lights to show the way. The entire kit weighs around about 22 pounds (10 kg), while the tether adds another 10 pounds (4.5kg), according to Gizmag. BlueROV2’s current battery allows it to operate for between one and four hours, depending on the intensity of use. Something definitely worth noting – this particular ROV arrives only partly assembled, though Blue Robotics promises it can be put together in as little as four hours, with “no soldering, no potting, no hassle.” If you’re the kind of person who gets a bit crabby putting an IKEA chair together, you may want to steer clear of the BlueROV2. 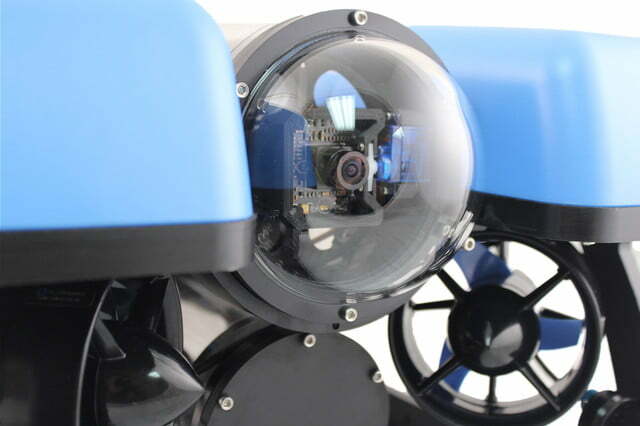 Blue Robotics‘ machine is admittedly much more heavy-duty than, say, the iBubble underwater drone camera, and as a result its versatility and robust design is likely to draw the attention of industry, from boat inspectors to wreck explorers to cinematographers. 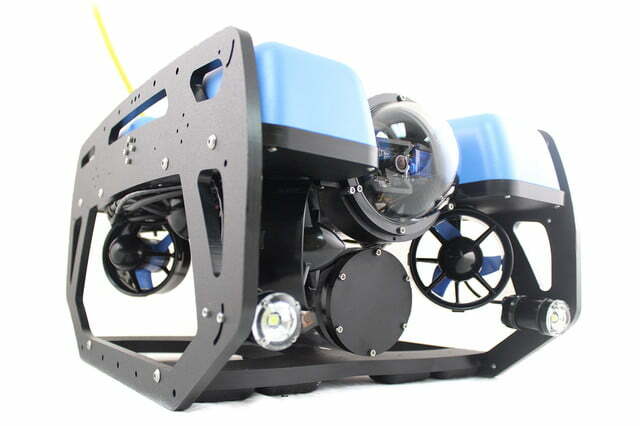 The new ROV went on sale this week and starts shipping in August. 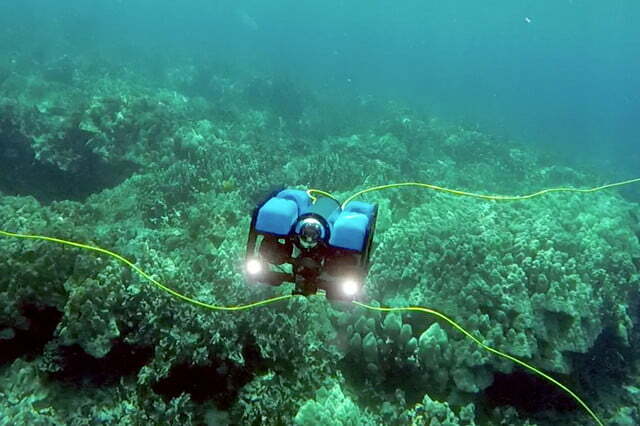 “We know there are a lot of people out there with an urge to explore the ocean, and the BlueROV2 is a tool to help them do so,” Jehangir said.